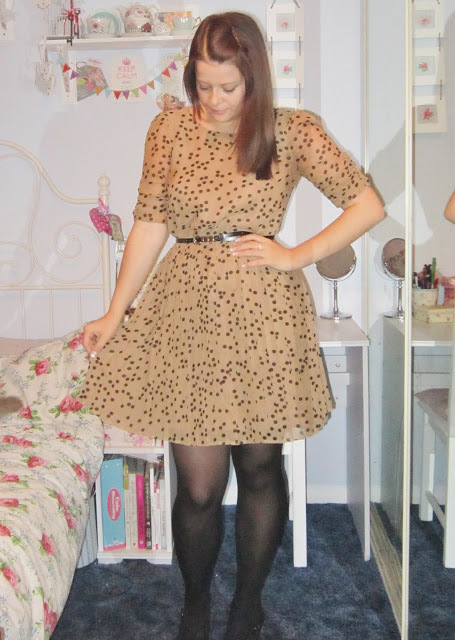 I showed you this dress a few weeks ago in my 8 Dresses for 8 Pounds post, that I bought for £1 off eBay. 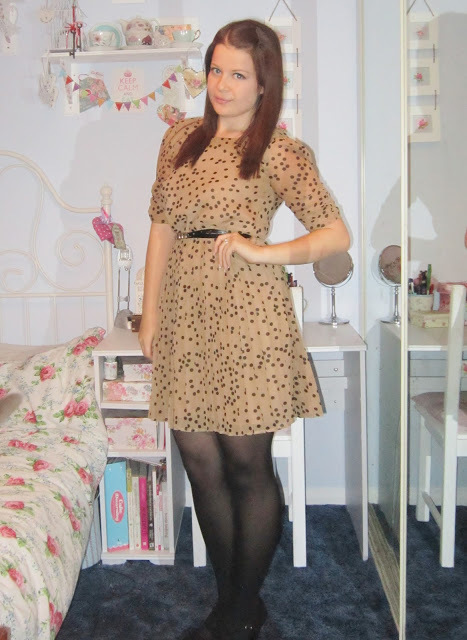 It’s originally an Oasis dress from last year, and it retailed for £60. It’s a nice caramel tan colour, with cute little polka dots which give it a girly charm. It also has a really fine pleated skirt, and long-ish sleeves. The high neck gives it a smart conservative look, and I teamed it with a black skinny belt with gold detail to accessorise. 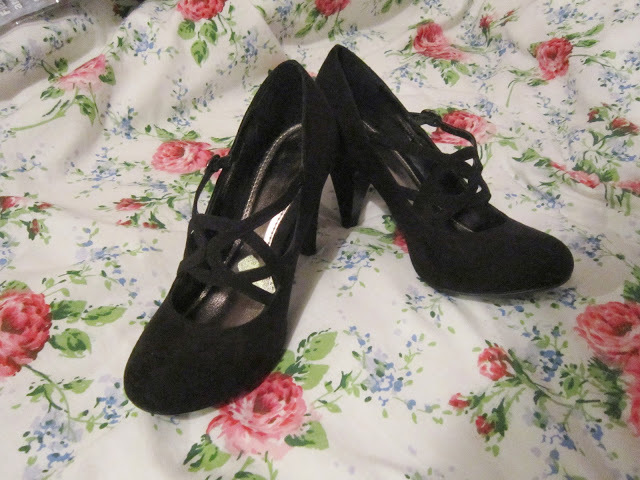 I also wore it with a pair of low heel smart black shoes from Dorothy Perkins, that again have a little bit of feminine a touch with a pretty pattern on the front. 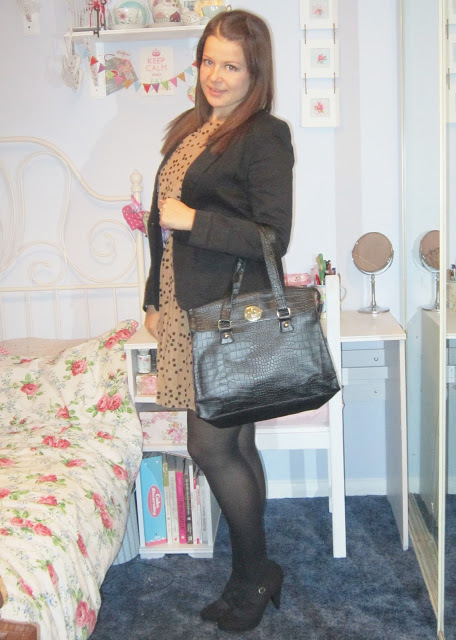 My boyfriend fit black blazer also went nicely with it, just to add some extra smartness! 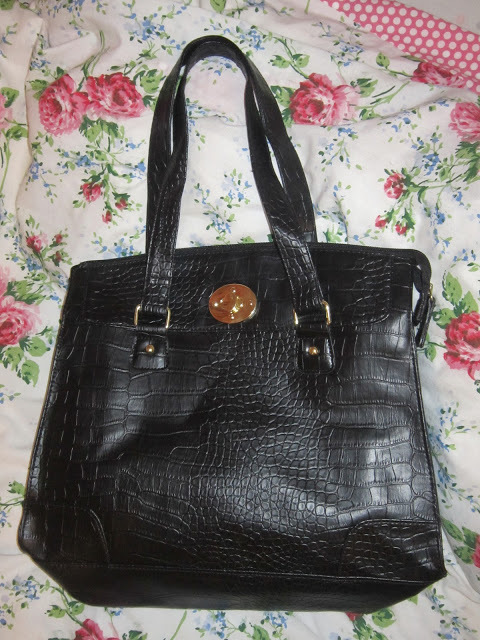 I also have a gorgeous black moc croc handbag which I bought off eBay for 99p a few years ago, and I love it still! It has a really chic texture and gold features. I think this outfit is perfect for a smart day at work, or a job interview. 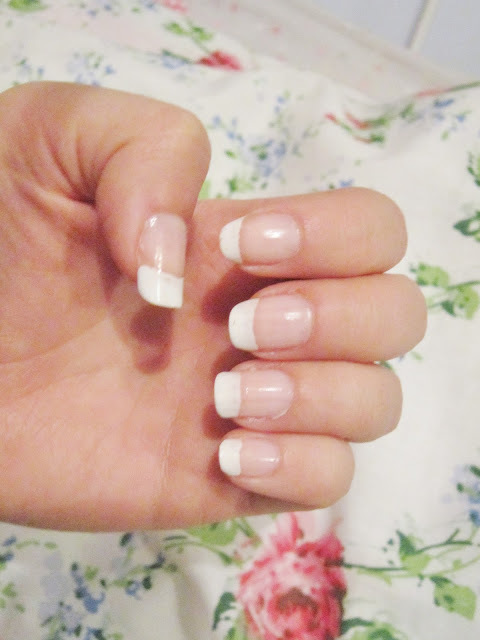 I also did my nails in a sophisticated French manicure which I think really sets of the look. Now that it’s winter time, by the time I get home from work it’s dark outside, and my camera doesn’t function as effectively without natural lighting. So I’m sorry that my photos from now on might be a little amateur 🙁 I hate winter! What do you think of this work-wear outfit? 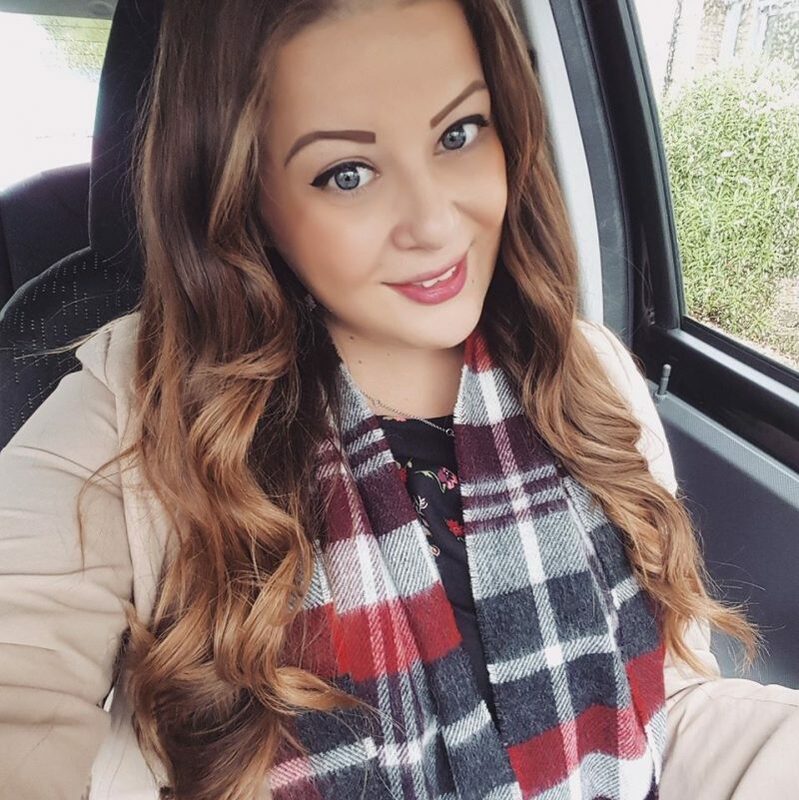 What would you wear in an office or to an interview?